For business owners who are concerned about their carbon footprint, LED light sources are fast becoming first choice for their lighting needs and the emergency lighting arena is no different. Even if environmentally friendly lighting isn't your priority, low-cost and highly efficient lighting is sure to be very attractive. 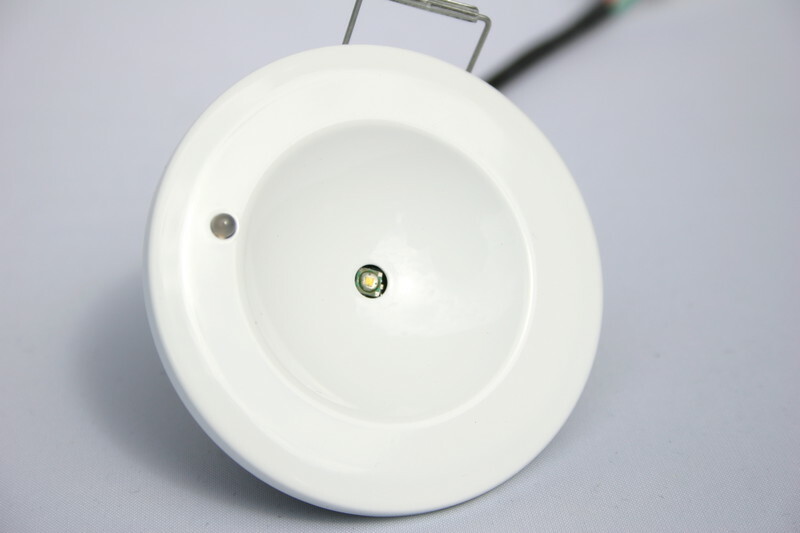 The 1W Self Test LED Emergency Down Light is a low energy alternative to traditional emergency lighting. The LED (light emitting diode) itself has a lifetime of 50,000 hours – that's over 5 years of constant use! Traditional bulbs lose a lot of energy by producing heat as well as light but an LED down light doesn't have that problem which means it can be used in spaces where conventional lighting could pose a fire risk. 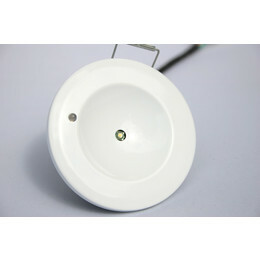 CE approved and meeting BS5266, this emergency down light is self testing. It will test LED performance monthly and carry out a full function test annually – a slow flashing green LED indicates testing is in progress. It's advanced design also includes maintained and non-maintained modes and real-time monitoring of LED and battery connections. In an emergency situation the unit will stay lit for 3 hours. It then takes approximately 10 hours to fully re-charge. Can I use this unit with a 110V supply? Unfortunately this unit only operates between 220-240V. Case Temperature : 60°C max.